2016 Season (Freshman): Among the team leaders with 7.5 TFL … season-high four tackles, all solo, and had 2.0 TFL in the win over Tulsa … also notched 2.0 TFL in wins over Rutgers and Indiana … added one sack vs. Rutgers. Overview: Robert “BB” Landers redshirted the 2015 season as a true freshman … was called a “disruptive force” throughout his senior season at Huber Heights and especially during his team’s run to the Division I state championship game … he totaled 153 tackles during his career for coach Jay Minton, including 16.5 tackles-for-loss … he was a second-team Associated Press all-state selection as a senior and an all-Southwest Ohio Team 25 honoree after helping Huber Heights to a 13-2 record … he was also named all-Southwest District and he was chosen as the all-area defensive player of the year … earned a 4-star rating from Scout and listed by that organization as the No. 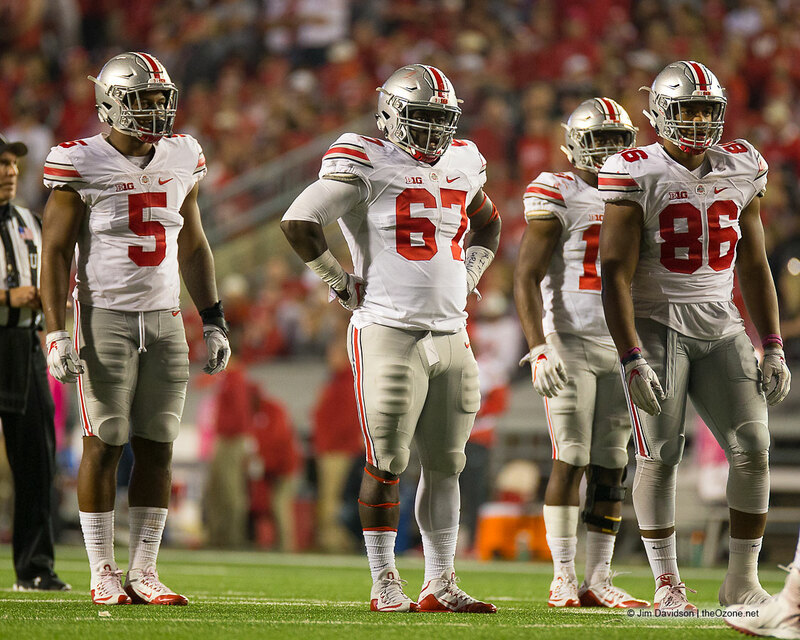 4 defensive lineman in Ohio and the No. 6 lineman in the Midwest … also had a high national ranking of No. 29 at defensive tackle … 247Sports listed him as a Top 50 defensive tackle … Landers won the 2014 state track and field competition in the shot put as a junior and finished fifth as a senior … younger brother, Trey, was all-state in basketball and he will be a freshman with the Dayton Flyers basketball program in 2016-17 … the brothers, and younger brother Trey, are the sons of Tracy Matthews.